Not sure if you had noticed, but I havent been stamping for a while. 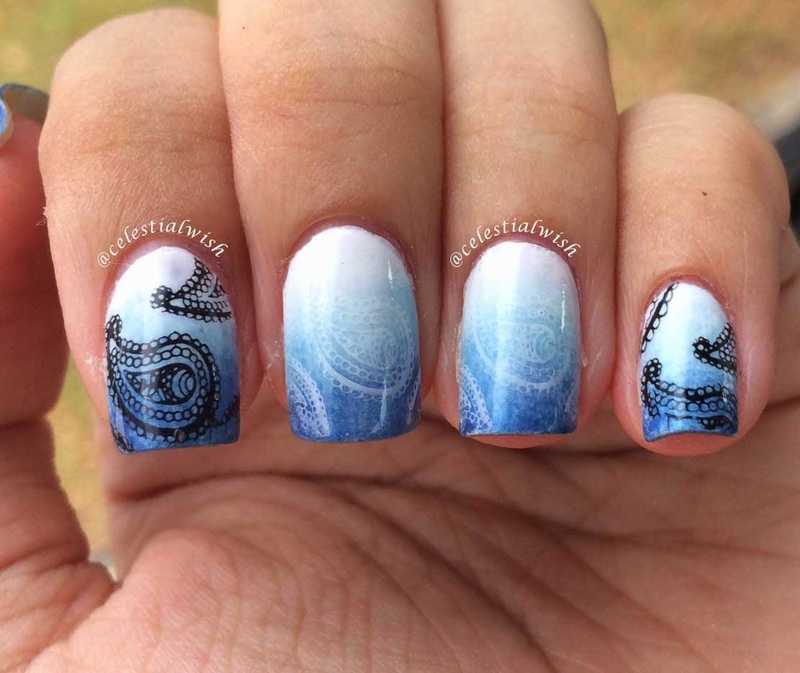 So today, I decided to do a blue (my favourite color) gradient stamping! I used a Bundle Monster Stamping Plate, BM315! 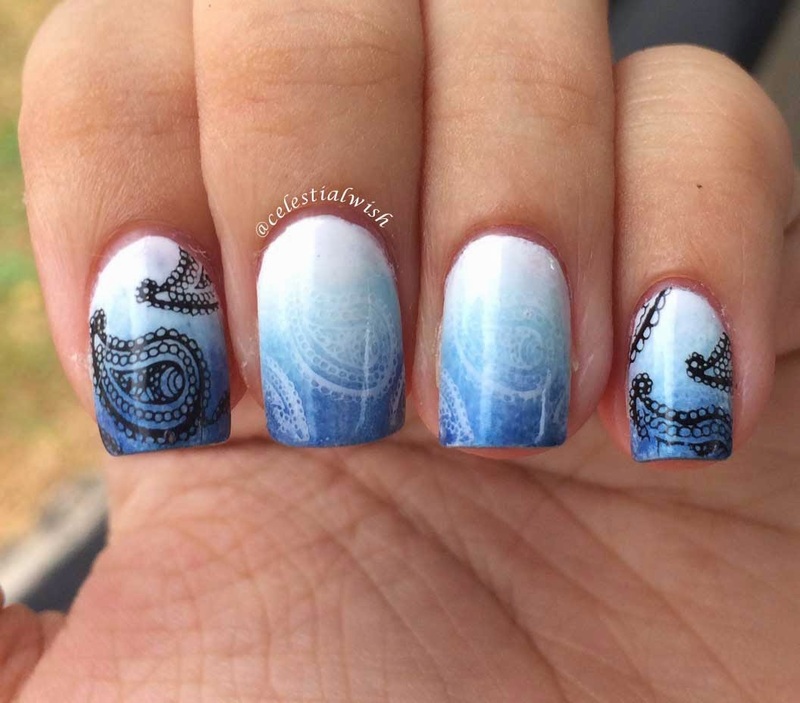 The colors I used for this was Essie's Blanc, Nicole by OPI's Its Up To You & Respect The World! Along with black and white Konad's stamping polish! Want to know how to stamp properly? Check out the Stamping tutorial I did some time back!